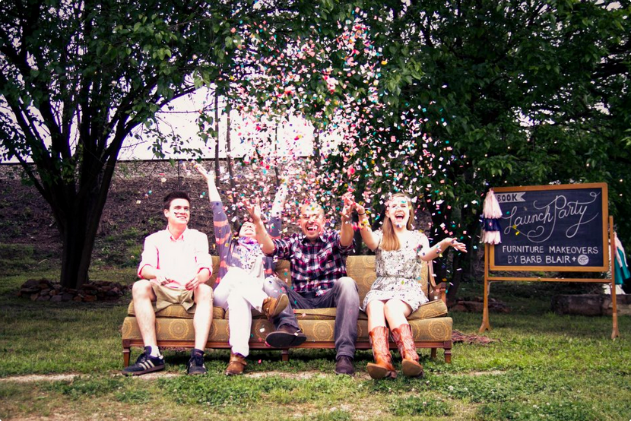 sarahkatebranine: A Knacktastic Giveaway: Furniture Makeovers! 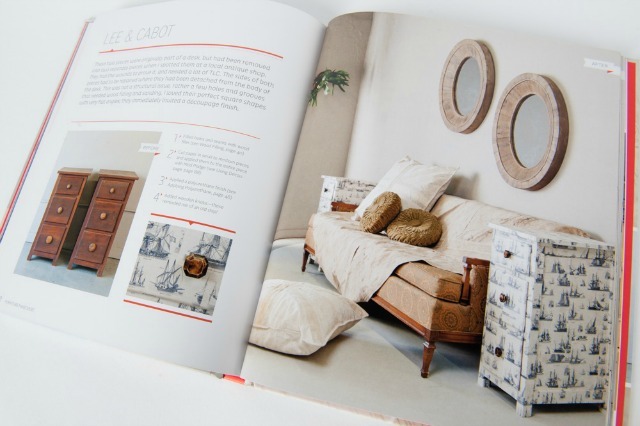 A Knacktastic Giveaway: Furniture Makeovers! There are some events in life that cannot be captured fully through the lens of a camera. And these events seem fully known only when we take them in with our own eyes, every frame to its fullest. Several weeks ago, on a warm and drizzly South Carolina evening, we celebrated something special. We celebrated with beautiful cakes and simple flowers, handmade confetti and bottled cokes. East and west coast cousins played under the white string lights. And while the music played, we, her friends and family, took in each frame to its fullest. We were celebrating my beautiful sister, Barb. I was so incredibly happy for my sister, this gal who had put so many long hours of sweat and tears into a project, a beauty-filled book about furniture techniques and before|afters, Furniture Makeovers, published through Chronicle Books. 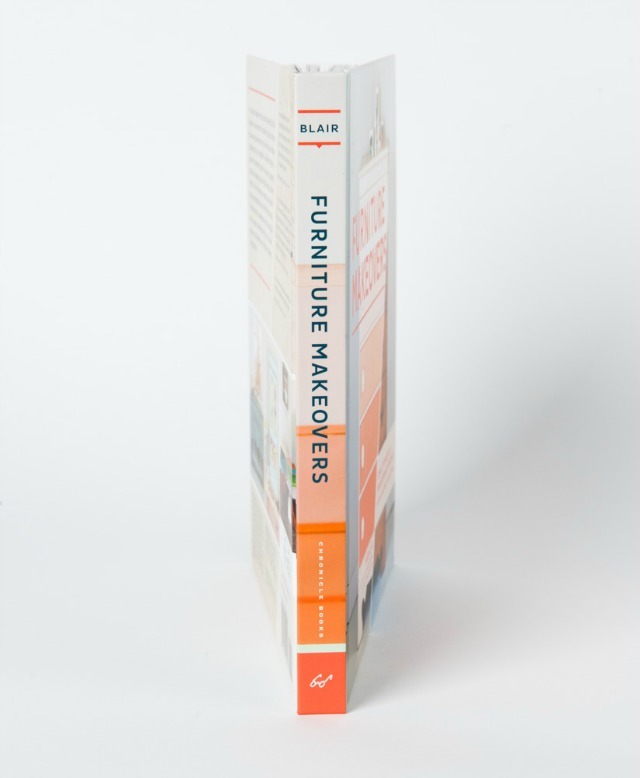 "Furniture Makeovers" book launch from carlton riffel on Vimeo. I adore several mid-century Danish pieces I inherited from my grandparents and have added to the collection from thrift shops etc. I also have some lovely antiques from my in-laws that I've been begging my husband to let me paint for years now. He still hasn't permitted but I'm hopeful that one day...If I had this book I'd have all the know how to get it done myself! I have several furniture pieces that I rescued from thrift stores in college that I fixed up that still have a special place in my heart and in my home. Barb is such an inspiration. So happy for her success! I have three pieces that are favorites. I bought a secretary desk for $50 on Craigslist. Painted with milk paint and distressed it. It's gorgeous. The second is a small dresser that I've had for 30 years, kept in the closet. I pulled it out, painted, waxed it and put No. 1 thru 6 on the front It looks fabulous. And I have a beautiful antique desk my father refinished. I found the wood pieces buried in the dirt in a garage. He put it together, made the missing pieces and refinished it. Beautiful! Oops! I left the comment before I saw the instructions. I have a thrifted coffee table that has been awesome! My favorite piece of furniture is either our piano (does that count?) Or this tiny night stand that I have crammed with books. My favorite piece of furniture is an old chair that belonged to my grandmother that my mom and I reupholstered! The book looks amazing! Thanks for hosting the giveaway! My current favorite piece is an old wooden chair I rescued from the dump and painted yellow. I call her Little Miss Sunshine. I smile whenever I look at her. Well, if she's YOUR sister, then she's gotta have incredible taste and creativity! I'm so glad that I'm catching up on blogs (yours included!) because I just put this book on hold at my library (as in yesterday) after seeing it on A Beautiful Mess' blog. I think my favorite piece of furniture is my Bed. It didn't start off that way, i actually almost got rid of it 2 years ago. it's from the 1930s and came in a set from my great grandmother. It has been passed down through three generations and is still gorgeous! my favorite piece of furniture is the sewing machine my hubby bought me for our anniversary. it is perfectly old and came with the original manual and all the fun attachments! my granny (seamstress) came into town and even showed me some tricks. such a special piece. My favorite piece of furniture... Ooh that's hard .. I would have to say pharmacy cabinets in my craft room.. Love your sisters work & would enjoy her book! Blessings! My favorite piece is my white vanity! LOVE it! I was just looking through this fabulous book on Amazon and then I found Barb's blog and that sent me here. I have a low 3 drawer waterfall dresser made in the 30's I believe that I just picked up for $30! It's a bit beat with loose veneere, broken pulls, and warped drawer bottoms. I'd love to see it a lovely light blue. I love my Grandfather's antique cedar wood chest of drawers which I have put in my daughter Maya's nursery. Everyone comments on it and I love the fact that it is a piece of our family's history. I have two corner cabinets in my dining room that my PaPa made. Love the video. It definitely made me smile. Great space, homey space, good turnout for the book signing. Congrats! My favorite piece of furniture is a dresser that was my father's when he was a baby, (born in 1929). I enjoyed the video! My favorite piece of furniture is an small dresser I rescued from a young couple who were moving...it was her childhood dresser and now sits probably in my living room! I don't know if I could pick out a favorite. Every piece of furniture has its own special love. So excited for your sister. Have this book on my book list. Always love a good makeover!! I love a big sofa chair I have that was a STEAL at a yard sale for $6! Thanks for the giveaway! Would love to get advice on restoring a hutch door from my great-grandmother's home. My favourite piece of furniture is a chest of drawers that has held my children's clothes when they were babies. It is repurposed for other things now, but it desperately needs a make over. Favorite piece is definitely the bunk beds my dad made for me and my sister. My girls get to use them now! Good post. 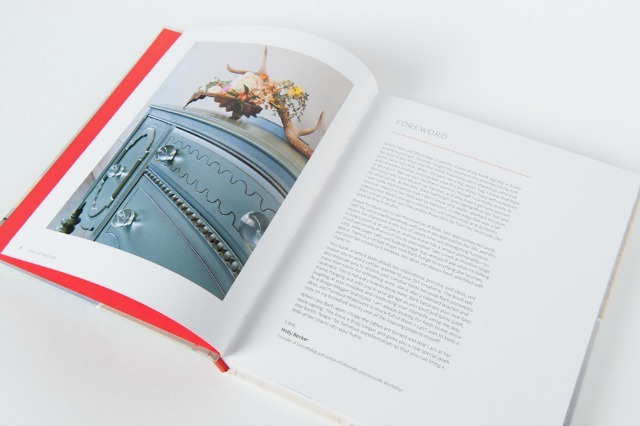 Barb seems to have done well with her new book, Furniture Makeovers. Thanks for posting your thoughts on it.